This article originally appeared in the September 2017 issue of Hotel F&B. To view this content on Hotel F&B's website, click here. The value of spreading capital improvements beyond the front of the house. Hoteliers may lean toward putting dollars into the visual aspects of a property, but the bottom line is the product of much more than meets the eye. Restaurant Technologies specializes in helping the hospitality and casino industry create operational efficiencies in their kitchens while simultaneously improving their food quality, creating a safer and cleaner environment for their employees, and contributing to environmental sustainability efforts. 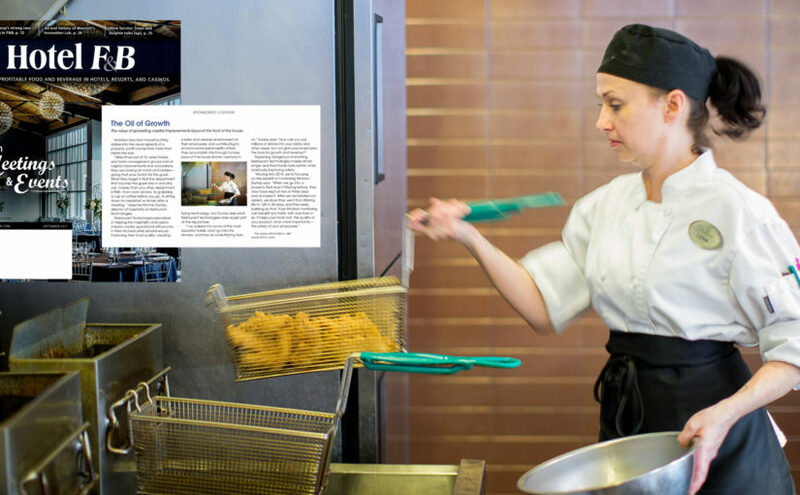 They accomplish this through turnkey back-of-the-house kitchen solutions in frying technology, but Dunlay sees what Restaurant Technologies does as just part of the big picture. Replacing dangerous, inefficient, tedious oil-shuttling, Restaurant Technologies makes oil last longer and fried foods taste better, while drastically improving safety for employees.